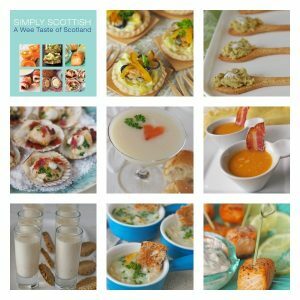 A Wee Taste Of Scotland is full of simple recipes for bite sized traditional and modern Scottish dishes perfect for parties or picnics. I’ve always been a keen cook having being brought up in a house where my Mum made everything from scratch and baked every weekend. As a writer and presenter of Homecrafts for Scottish Television and BBC Radio Scotland I wanted to share my ‘Make It Simple’ philosophy within the realms of my passion for cooking, and my homeland of Scotland and the rich selection of traditional recipes seemed like a good place to start. In this fun and informative book I’m sharing my methods and hints with you so you will be able to easily produce your own fabulous Scottish dishes from your kitchen. 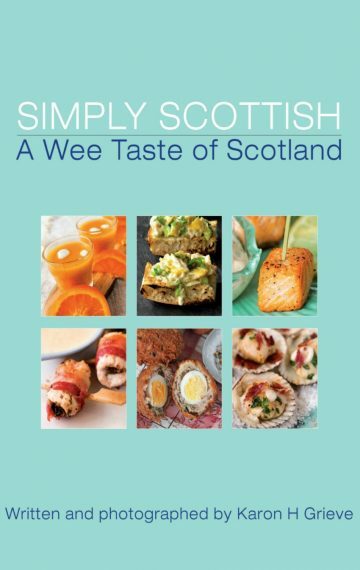 This book is for anyone who wants to produce their own Scottish themed dishes on a small, easy and manageable scale, whether they are a complete kitchen novice or already an enthusiastic cook looking for new recipes. There are over fifty easy to follow recipes for soups, fish dishes, meat, poultry, desserts and drinks, as well as extra recipes for jellies, jams and dips to make everything that wee bit more special. Fun and easy drinks to make any party go with a swing! Beautiful clear pictures and simple instructions make this book the perfect addition to your kitchen library. I’ll explain exactly what you will need for all recipes with listings of all tools required and explanations of all sorts of useful cooking terms, plus hints and tips, conversion tables and a handy translation section for our American readers.